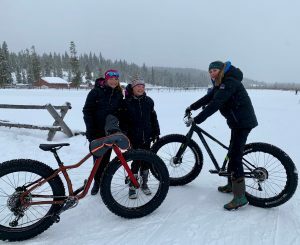 Trails for fat biking are in good condition, and like crust cruising, are all about good sense of timing and knowledge of snowpack , temps, weather. 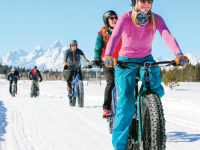 Teton Mountain Bike Tours is running regular fat bike tours in Bridger-Teton National forest. 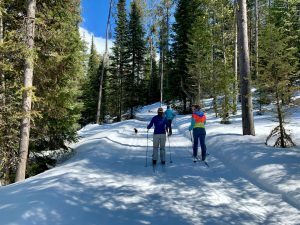 Went out to Taggart trailhead, skied north along the snow covered ski track from Taggart, across Cottonwood Bridge, then crossed the road (on foot as is now dry pavement), and proceeded to crust cruise on classic XC skis east acres 2 miles of beautifully smooth, lightly covered fresh crust. 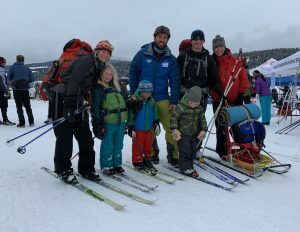 We crossed old friends and stopped to chat and make the acquaintance of skiers -locals and visitors. 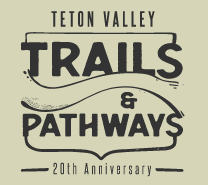 Teton Park Road was relatively quiet, peaceful with the occasional group of walkers and cyclists. 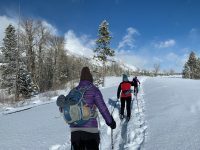 Stunningly bright sunny day with views of the Teton and Gros Ventre in every detail. 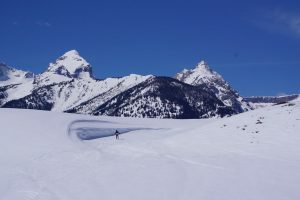 We skied to the edge of the upper bench overlooking the Snake River a 1/4 mile further east. 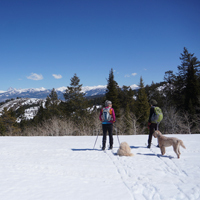 Snow is still approximately 4 feet deep, so no sign of sage brush. 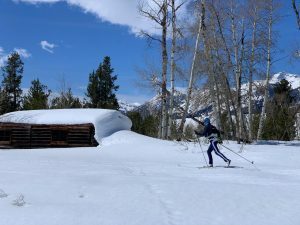 Skied down a gully to a fast section between the upper and lower bench, then down to the river level to the historic former dude ranch, the original Bar BC (established in 1912, replete with costume parties like todays Gaper Day). 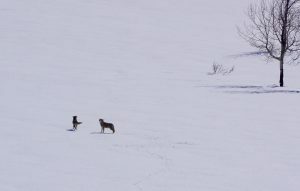 One highlight was observing 3 wolves – 2 females and a male – in a mating ritual down in an open meadow below the road, approx 1/3 mile north of the GTNP entrance gate. We watched from the roadside while the male wolf wooed an interested female, then both howled to call in another female. The male then went to her, and she to the first female. Fascinating spring time ritual of our treasured wildlife. 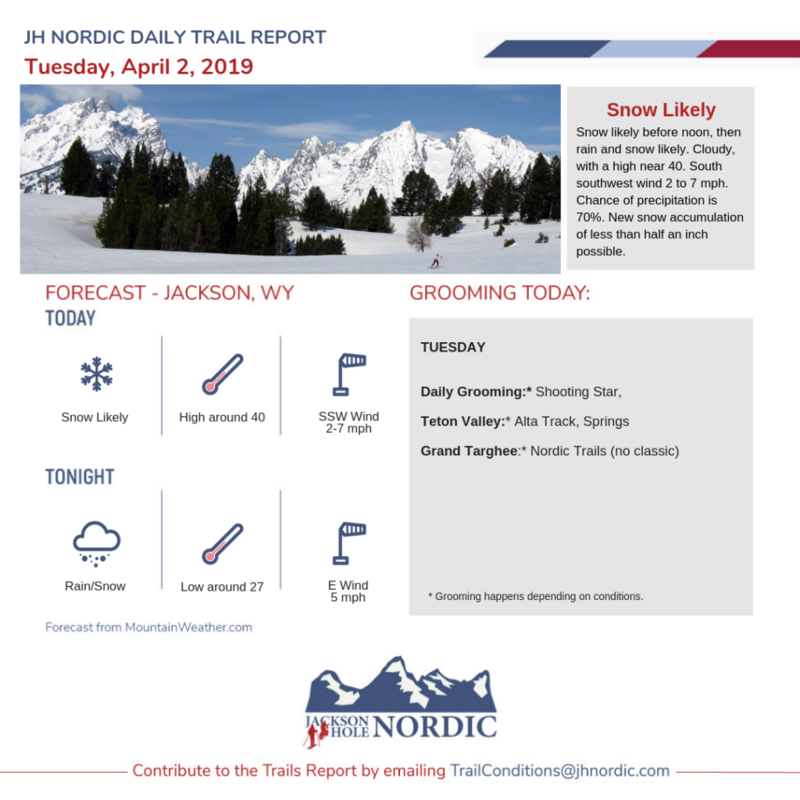 JHNordic Daily and Weekend Trail Reports will be shifting to our off-season schedule starting April 1st. From April 1st to 15th, look for our mid-week Report on Tuesday morning and weekend report on Saturday. Off-season, we will provide updates as relevant news becomes available, likely every month or so. 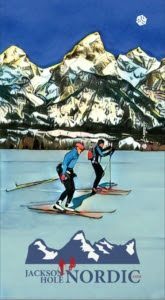 We welcome your off-season nordic, fat bike , Snowshoe stories, photos, videos, training & travel..Happy spring skiing, riding!! 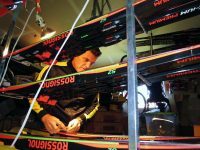 Snow coverage remains deep and uniform which should continue to provide solid Nordic conditions for the upcoming final week. 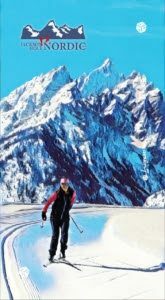 Enjoy the spring skiing! And, it’s April! 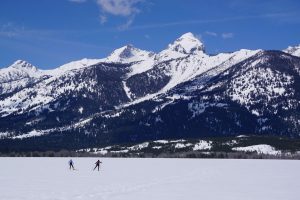 There are exactly two weeks left in Grand Targhee’s ski season. That means two more weeks for us to see your smiling faces up the hill. 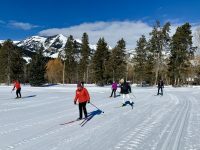 Cross Country/Fat Bike 15k: XC OPEN (Last groomed AM 3/31/2019, NO CLASSIC), Fat Bike OPEN. 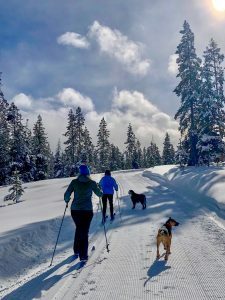 Most of the multi-use trails above were groomed this morning including Half Moon Tie-In, most of Kelly Park, Kelly Tie-In, Lower Surveyor, Powerline, Old Road Trail. 26F degrees or so. Supposed to get warm today. 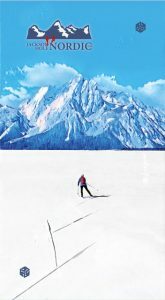 If going up skiing, recommend going soon or waiting until about sundown. There is a moose right at the bottom of Kelly Tie-In trail on Willow Loop. 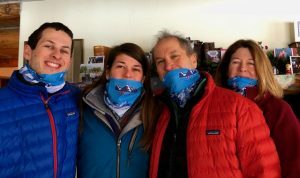 Do not recommend going on that trail. She is not doing very good. Please avoid the moose – turn around and don’t go that way – there are other places can go. I should be starting to groom by 1930 hrs tonight to capitalize on the soft conditions to set a new classic track. I’ll work on skate lane after the sun sets and hopefully temps will cool the snow quickly. 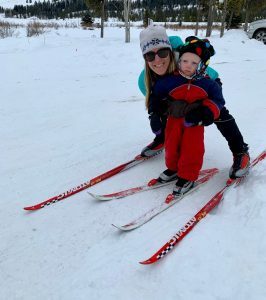 I’m guessing the skiing should be good tomorrow morning, but check back as I’ll update when I’m done. 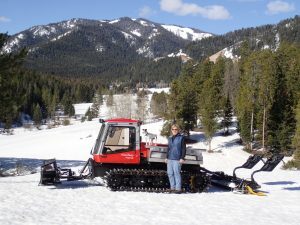 Sunday evening: Finished grooming at 7pm. Reset south classic and skate tracks. Both turned out well, for the most part.